"An important and wide-ranging new collection assessing social policies related to care and welfare in comparative perspective." "An international group of scholars combine clear-eyed empiricism with a feminist vision....This volume is a well-integrated primer of best (and worst) practices for women in advanced industrial welfare states." ""Women's Work Is Never Done is a valuable collection of essays on gender and the Anglo-American and West European welfare states. Leading scholars in the field address and take forward key current debates on gender and social policy. This is a major contribution to the comparative literature on gender and public policy." 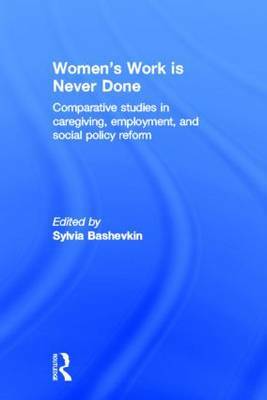 ""Women's Work Is Never Done is an engaging feminist collection that advances our understanding of how welfare discourses and policies affect women as welfare recipients, caregivers, workers, and citizens." "Edited by Sylvia Bashevkin, the book reflects her comparative method and her immersion in political science. The contributors are meticulous in their research and, and like Bashevkin, political scientists."